Cosmos at the Castle, is a state-of-the-art, multimedia-driven exhibition. 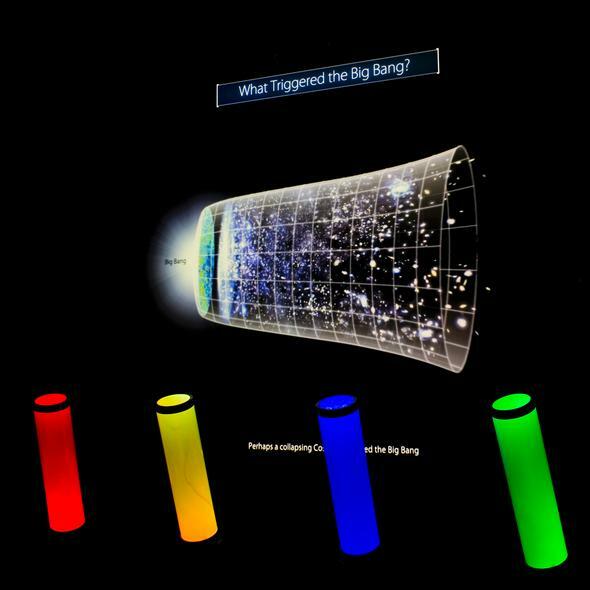 The main exhibition, "The Story so Far” takes visitors on a tour of the Universe in a highly interactive manner using specifically designed content viewed from large interactive cinema-sized screens and individual touchscreens. To date, the exhibit has received 8 national awards and is the only Irish-designed and operated visitor attraction to receive a THEA ‘Award for Outstanding Achievement’ from TEA, the world association for themed attractions, in 2008. A popular feature in the exhibit is the Pan Galactic Station where you can send a live message towards a distant planet. Using a touchscreen interface, visitors are offered the opportunity to learn about sending radio signals from a radio-telescope. You are then invited to select a star which is known to have a planet orbiting it (an exoplanet) and send a 75 character bit map encoded message to it via the radio telescope at CIT BCO. The message travels at the speed of light (300,000 kilometres per second) to the chosen destination. In the Comet Chaser game, Dr Ellen Ryan from Mission Control interactively leads visitors through astronomical research techniques challenging visitors to help save Blackrock Castle from a comet. 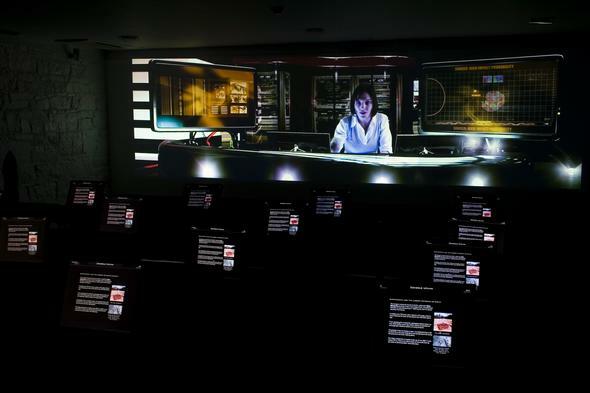 On individual computer screens, players use touchscreen technology to learn about comets and asteroids, research techniques such as spectral imaging and orbit tracking, and missions such as the Giotto Mission while earning points and saving Earth from such a disaster.